Welcome of KISTA We support the intellectual property strategies of Korean enterprises, universities and public research institutions to leap forward to the better future. In Korea, R&D investment to GDP is on the rise and R&D success rate is the world’s highest. Through them the number of intellectual properties was increased dramatically. Despite the quantitative growth in R&D and patents, qualitative growth has been lagging with a decrease in R&D productivity and patent utilization the OECD’s lowest level of technology balance of payments and reckless patent lawsuits filed by foreign businesses. It can be attributed from the recognition that treats patents only as a result of R&D and from the ineffective R&D project without planning. As patents emerged as a core asset that decides survival of businesses and economy of a nation, Korea needs R&D innovation based on IP strategy. To this end, KISTA adopts a fresh perspective. Not focusing on technology-oriented assembly of parts but focusing on IP-centered assembly of patents. That’s the first step of R&D innovation. Since its establishment in 2010, KISTA has been officially designated as an professional IP organization. Based on its experties, KISTA has been providing R&D strategies on IP to businesses, universities and public organizations. With professional manpower experienced in R&D and IP, KISTA is the only organization in Korea that provides customized IP strategies based on its IP-R&D methodologies and accumulated data and know-hows. As an IP strategy-specialized organization which leads national R&D, KISTA pursues to strengthen R&D competitiveness. Centering on core values of expertise, creation, impression and harmony, KISTA’s employees do their best for the goal. Throughout the entire R&D cycle of identification, planning, implementation, utilization and management, KISTA now provides customized IP strategy fit for the given target and each phase. By researching and analyzing IP all in industries, KISTA develops promising future technologies and areas to preempt patents to support the national R&D policies. Also, Based on prior art search and patent analysis for the national R&D projects, KISTA carries out in-depth analysis to prevent overlapped investment and review the research direction. It also contributes to increase efficiency in the national R&D projects by reflecting IP strategies. By analyzing the market trends and patents for effective R&D, KISTA establishes core patent strategies that negate and avoid patents having commercial problem. to develop promising technology and new products. KISTA also provides core strategic supports for international standardization of technologies which are likely to create essential-patent, like new-generation mobile communication. By providing the best IP-based methodologies, KISTA helps public research organizations to maximize their R&D results. KISTA identifies technologies with high potential value from the idea stage, IP rights and marketability to enhance commercialization rates. By sending IP management experts, KISTA provides in-depth support to enhance IP capabilities of universities and public research institutes. Also, KISTA constructed R&D patent performance management system, which is able to manage all information of patent results from R&D projects and to analyze and process patent’s commercialization probability. 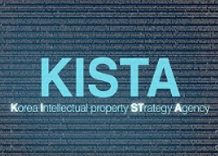 By providing field oriented IP strategy support, KISTA helps universities and public research institutions to enhance their utilization of patent results. KISTA provides systematic IP strategies throughout the entire R&D cycle. KISTA contribute to reduction of the government’s R&D budget and improvement of management in businesses, universities and public research institutes. Its pragmatic economic benefits can lead to enhancement of Korea’s national competitiveness. To facilitate that R&D investment leads to fruitful results and qualitative R&D growth, KISTA will play a leading role in R&D innovation, spread Korea’s technologies around the world and expand Korea’s economic territories.